Coca-Cola Co. reported that its fourth-quarter net income attributable to Shareowners was $1.54 billion or $0.66 per share, compared to $995 million or $0.43 per share in the same quarter last year. Non-GAAP net income attributable to Shareowners was $1.55 billion or $0.66 per share, compared to $1.48 billion or $0.64 per share in year ago quarter. Analysts polled by Thomson Reuters expected the company to report earnings of $0.67 per share for the quarter. Net operating revenues for the quarter were $7.51 billion, compared to $7.13 billion in the prior year quarter. Seven analysts had consensus revenue estimate of $7.21 billion for the quarter. 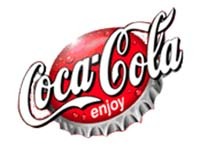 The Coca-Cola Company is the world's largest beverage company, largest manufacturer, distributor and marketer of non-alcoholic beverage concentrates and syrups in the world and is one of the largest corporations in the United States. Besides its namesake Coca-Cola beverage, Coca-Cola currently offers nearly 400 brands in over 200 countries or territories and serves 1.6 billion servings each day. The company operates a franchised distribution system dating from 1889 where The Coca-Cola Company only produces syrup concentrate which is then sold to various bottlers throughout the world who hold an exclusive territory. The Coca-Cola Company is headquartered in Atlanta, Georgia. Its stock is listed on the NYSE and is part of DJIA, S&P 500 Index, and the Russell 1000 Index. Its current chairman and CEO is Muhtar Kent.